Grapefruit essential oil has an uplifting, sweet, refreshing and slightly sharp aroma. The oil can be used on ‘troubled’ skin, such as acne and eczema, due to its ability to increase the flow of nutrients into the skin cells. 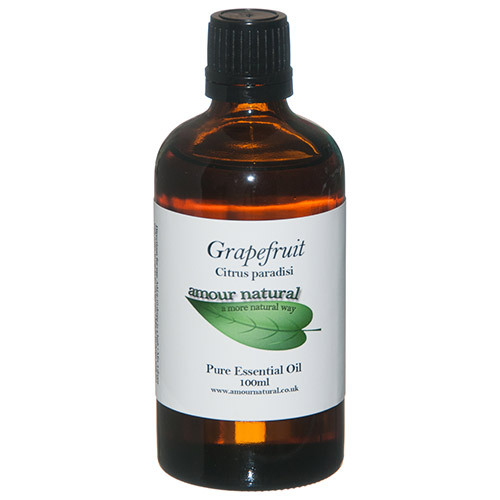 Grapefruit essential oil can be used to uplift the mood and it may promote lightness of spirit in times of heaviness, tension and concern. It is extracted using the expression method. Grapefruit essential oil blends well with basil, bergamot, cedarwood, chamomile, citronella, ylang ylang, frankincense, geranium, lavender, jasmine, palmarosa and rose. Below are reviews of Amour Natural Grapefruit Pure Essential Oil - 100ml by bodykind customers. If you have tried this product we'd love to hear what you think so please leave a review.